Antioxidants are important for our bodies because they stop free radicals and prevent accelerated aging. The major sources of free radicals include: X-rays, pesticides and herbicides from non organic foods, food processing chemicals, environmental contaminants, UV rays, cigarette smoke, alcohol consumption, etc. Unstable molecules in free radicals seek to become stable by attacking our bodies’ DNA and destroying cells. The result includes health risks like cancers and degenerative diseases. To counter all the pollutants in the air, it is simply not enough to eat a balanced diet full of antioxidants. For a healthy life we need antioxidants. Antioxidants in capsule form are also effective but should you have a problem swallowing capsules, liquid antioxidants are the best next solution. Antioxidants fight inflammation and oxidation, the two factors that cause diseases and aging. The best antioxidants should make you look more beautiful and protect you from diseases. Try these five amazing liquid antioxidants to help prevent disease and aging. This is water based krill oil which has an orange taste. Unlike liquid fish oils it can dissolve in water and has no fishy taste. It can be blended with fruit juices or vitamin waters. Apart from being a source of omega three krill oil has a very powerful antioxidant called astaxanthin. Being a fat soluble supplement It Is easily absorbed with krill oil. Its antioxidant potency is 6000 times stronger than vitamin C and 550 times stronger than vitamin E. As a carotenoid, it has anti- inflammatory benefits as well as protecting your skin from UV radiation. Natural astaxanthin is the most potent antioxidant because it stays active eve after releasing its free electrons. Unlike most antioxidants which are depleted after transferring their free electrons. Try Viva Labs 100% Pure Cold Pressed Antartica Krill oil. Viva Labs Krill Oil is harvested from the fresh and toxin-free waters of the Antarctic, we can guarantee that our krill oil is free of metals, toxins and other contaminants. Moreover, our manufacturing facilities are FDA-approved and adhere to strict GMP standards. While other liquid antioxidants are just expensive fruit juices, Tre’ is a super juice with a lot of nutritional benefits. Its proprietary blend of dark berries such as bilberry, cranberry, blackcurrants, blue berry and elder berry, help the body to fight oxidation and inflammation. It also contains a mixture of Acai berry and green tea. This great tasting combination has 20mg of alpha-lipoid acid which is an equivalent of 5 cups of spinach. It helps the body fight disease and prevents aging. Tea is the most popular beverage drunk around the world. Whether it’s taken black or green, they both contain almost the same amount of antioxidants. 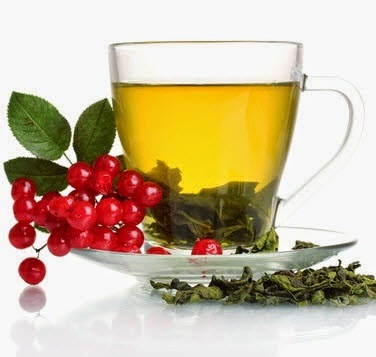 Flavonoids, the antioxidants found in tea, make tea a very healthy drink. Taking four cups of tea in a day, is rehydrating not dehydrating, unless they are all consumed in one sitting. Freshly brewed tea, which has steeped for four to five minutes produces the most amount of Flavonoids. Tea can impede absorption of iron it should therefore be taken between meals with lemon or milk. Acai berries are high in antioxidants. They are therefore included in beauty products and cosmetics as Acai oil. Acai oils when processed and stored well retain its high anti oxidative properties. It is the safest topical oil used in anti-aging therapies. Try Botanical Beauty Acai Berry oil for face body and hair. Acia Berry oil is rich in essential fatty acids such as Omega 3, Omega 6, and Omega 9. There are also many other vitamins such as B1, B2, B3, E, and C, minerals such as Phosphorus, Calcium, and Potassium, as well as polyphenols, anthocyanins, and phytosterols. Acai Berry oil helps to heal dry, chapped and cracked skin, balances the moisture in skin, and conditions hair well. Chocolate with a high cocoa content of 60 % has antioxidants that lower blood pressure. The darker the chocolate, the lower the sugar content. Love the taste of chocolate? Try Stevia Sweetleaf liquid dark chocolate drops. You can add them to your coffee, tea, smoothies, yogurt,and more. Add to cold or hot beverages. Traditional chocolate is loaded with carbs, fat, & calories but stevia chocolate has 0! Guest post by Daisy Rachel for EHIC Health Insurance. Anioxidants are really essential.I use to drink green tea which is a good anti oxidant .It also helped me to reduce my diabetes.